Description:This offering is for two eagle A-buttons. One is a shirt button that is in pretty good condition. The shank is present and tight. The back mark is "Scoville Extra". The face shows some wear but has no pushes and a dark color. 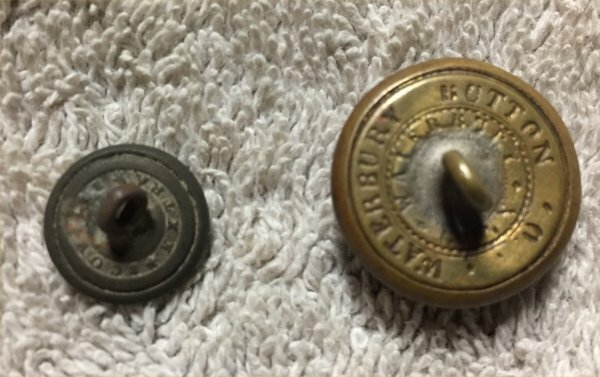 The 2nd larger one is a coat button in excellent condition. It still has some gold wash on the face. The shank is tight. The back mark is "Waterbury Button". 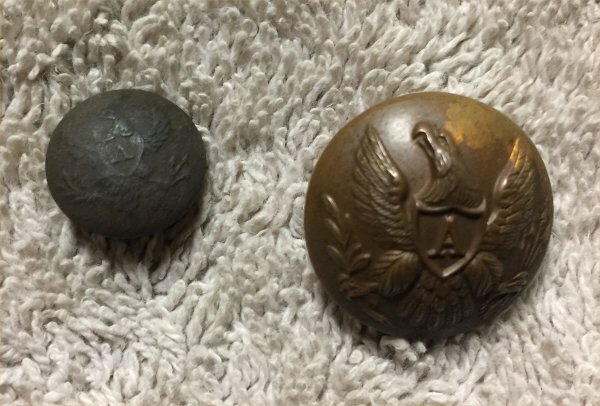 Nice set of buttons that would add to your artillery collection!